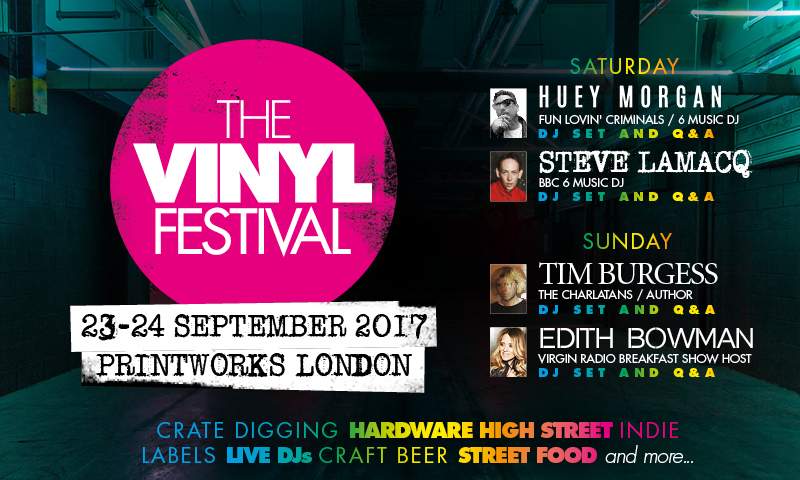 On Saturday 23rd and Sunday 24th September, The Vinyl Festival will make its debut providing a weekend-long immersive vinyl experience, taking place within the industrial expanses of cultural destination, Printworks London. Consolidating all aspects of vinyl culture under one huge roof, festival-goers can dig through thousands of crates of vinyl on sale from 100 stalls of some of the UK's most exciting independent labels and record traders, plus a further 48 stands showcasing the newest developments in audio technology, hardware and vinyl care. There will also be Vinyl Valuation area, where collectors can have their records evaluated by a team of experts. A selection of street food and fully stocked bars serving craft beer will provide refreshments throughout the day. Offering further entertainment, leading industry figureheads will be providing the soundtrack to the weekend, spinning their own cherished vinyl, as well as speaking about their experiences and passions with the physical format in conversation on the couch. BBC 6 Music's DJ and Fun Lovin' Criminals’ frontman Huey Morgan will talk on his experience of vinyl culture growing up in New York. Charlatans lead singer, vinyl author and record label boss Tim Burgess will present some of his published work on the subject, BBC Radio 6 Music presenter Steve Lamacq will give his insight from years of experience working as a radio host, and Virgin Radio's Breakfast Show host Edith Bowman will speak on her specialist subject of movie soundtracking. Hosting the Vinyl Forum will be self-confessed audiophile Colleen Cosmo Murphy - as well as hosting Colleen will be treating you to her Classic Album Sundays sessions. From the liner notes to that distinct smell, there is something uniquely evocative about vinyl that connects us directly to the music. You can have a million songs on your digital device, but it's just not the same as physically collecting them. 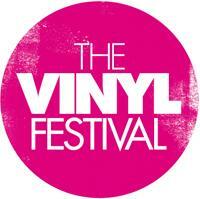 And that's exactly what The Vinyl Festival is all about. This is apparently the UK's only dedicated vinyl event of its kind, a show for turntablists, music fans and vinyl collectors alike. Long Live Vinyl Founder & Editor-at-Large, Ian Peel said: "The Vinyl Festival celebrates the very best of the format we all love, and is exactly what our readers have been crying out for. We're incredibly proud to bring you everything from a massive record fair to some of the UK's finest indie labels and some top headline DJ performances, all under one roof. We couldn't be more excited to see this dream become a reality." Early Bird tickets now available, starting from just £16, with day, weekend and VIP packages available. 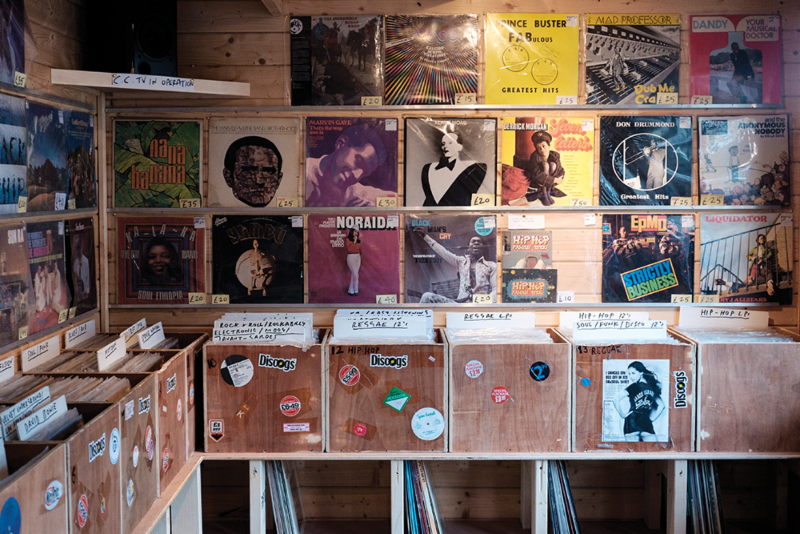 The Vinyl Festival is working alongside charity partner Music For All - dedicated to providing access to musical instruments to people from all walks of life.